It would appear that my reading time has excluded the younger crowd. Never fear! There is always a vast selection of picture book reading happening around the house. My little ones may not realize how wonderful they have it when it comes to books. So many available readers to cuddle up with and enjoy a good book! Hannah (9) who is quite good at spotting a quality picture book is always willing to read to her littlest siblings. 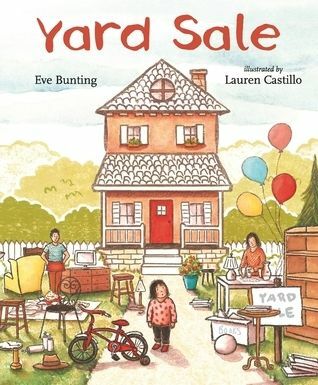 Yard Sale (Eve Bunting) – When financial struggles happen to Callie’s family, moving from their home into a smaller apartment becomes a necessity. Callie’s mom and dad have a yard sale as they downsize and declutter. Her parents have explained that they are moving into a nice but smaller home and some of their things just won’t fit. Callie doesn’t quite understand and when she sees some of her favorite things being taken away, emotions get the best of her. With some help from her parent’s Callie learns what is really important in a home. This simple picture book relays a real life event that can be overwhelming for many young ones. Leaving the home you have always known, letting go of treasured possessions, and learning what is truly important can be challenging at any age. We really enjoyed this sweet (and a little sad) story. I must confess that I did tear up a bit when Callie saw her bike being sold. While this story may seem harsh and depressing to some, I do think it has a relevant message. Many people are facing economic challenges. Helping little ones understand changes can be difficult. I know my children and I had some great conversation after sharing this story together. 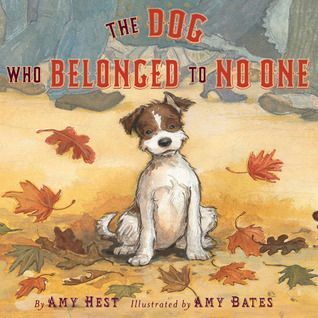 The Dog Who Belonged to No One (Amy Hest) – A young girl who delivers her family’s bread by bicycle would love nothing more than a friend to join her on her deliveries. A small dog who travels the roads unseen by those around him longs for a home. Would anyone take him in? We all know how this one will end. At the end of a lonely, rainy day, girl and dog find each other. A perfect happy ending. Beautiful illustrations complement the story. Any one who loves a story about a cute, lonely doggie will be sure to love The Dog Who Belonged to No One. I would say ages 5 and up would most likely appreciate this one. 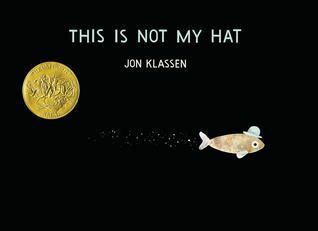 This is Not My Hat (Jon Klassen) – Enjoy a bit of humor? You will want to check this one out. Every time I read This is Not My Hat, my kiddos were laughing. Little Fish sneaks a hat and is confident that he is going to get away. The Enormous Fish will never know who took it. No one will tell Enormous Fish where Little Fish has gone, right? The illustrations tell a different tale. While Little Fish is confident of his get-away with the hat, Enormous Fish is hot on his fins. Subtle details like the look in the fish’s eyes and the “he won’t tell” crab really make this story enjoyable. A simple and fun story to add to the book basket. We are always looking for new selections to add to our basket. What have you been reading lately? This entry was posted in Book Reviews, Books, Preschool, Read alouds and tagged Books, laughter, literature, preschool, reading by sweetie. Bookmark the permalink.